What did you think of the Brief and Existing Space? Students have said that the client requested a limited colour preference (white): but at least were given clear guidance as to what they should provide. Others felt they: ‘loved the high ceiling’. ‘Drawing to scale was tricky to begin with... but practice makes perfect’. Others felt that ‘visualising’ the look of their design was difficult... but here the 3D model solved it’. Were there key moments during the development of the project? 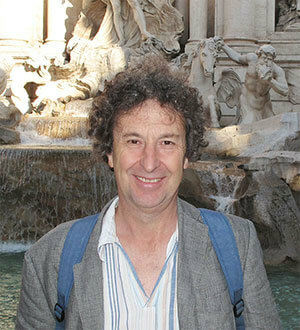 ‘I drew a circular table: from then on...circles became a key feature of the design’. What is one thing you will remember from this course? ‘Session 8, (Design Process), Session 7, (Case Study) and Session 14, (Design Options) was really useful and opened by eyes to the creativity of Interior Design’. What advice would you pass on to other students? ‘Tracing paper is really useful, also, print off the Downloads for each session before you view the films: you’ll then have them to hand while you are watching’. What was good about this course? ‘Very good content and the moving between video and project work was good’. 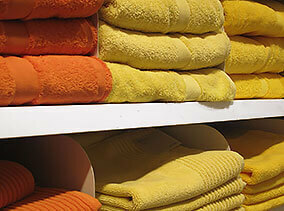 Towels also come in a range of colours and make a fresh and light contribution to the 'look' of an interior. 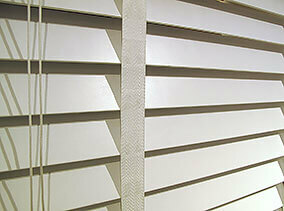 Venetian Blinds provide control over the penetration of natural light and sunshine into a space. Other window treatments include fabric curtains and awnings. 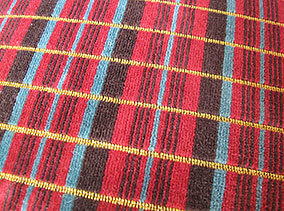 Fabrics bring colour, texture, contrast and visual focus to an interior.